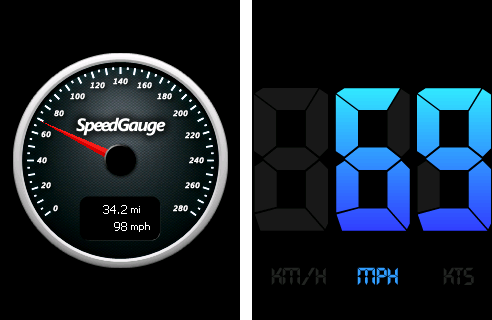 SpeedGauge for Windows Mobile displays your current speed on a digital or analog speedometer and keeps track of your top speed and total distance. Full screen digital and analog speedometers. Keeps track of your distance and top speed. Easily switch between units of measurement (mph, kmh and knots). Digital display can be mirrored so it can be seen correctly in glass (e.g car windshield).